TicketProcess.com is now offering MLB fans with a great opportunity to purchase 2013 MLB All-Star game tickets to the 2013 summer classic at Citi Field in Flushing, New York. All-Star packages including hotels and tickets to the Home Run Derby are also readily available and priced to move. MLB tickets are always very popular items throughout the season, and the most exclusive summertime baseball tickets are available now at TicketProcess.com. The site has made moves to stock an impressive and very low-priced inventory of 2013 MLB All-Star game tickets, including All-Star game packages of various sorts. All the greats of baseball are sure to be voted into a game that always features deeply talented rosters and a long list of the game's best pitchers. A few sure entries to the 2013 MLB All-Star game based on performance to this point in the season include super slugging third baseman Miguel Cabrera, winner of the first Triple Crown in decades, Cincinnati first baseman Joey Votto, Boston second baseman Dustin Pretoria, Rockies shortstop Troy Tulowitzki and San Francisco Giants catcher Buster Posey. MLB's All-Star game is clearly the most meaningful in all of professional sports. After Commissioner Bud Selig decided to end the 2002 MLB All-Star game after 11 innings and officially declared a tie, intense clamoring throughout the nation from fans and insiders led to the implementation of an All-Star Game reward. The league that wins the mid-July affair is instantly granted home-field advantage throughout the World Series, something that has proven to be very viable in recent years. 2013 MLB All-Star game tickets can be purchased for surprisingly low prices at TicketProcess.com along with discount baseball tickets throughout the regular season. 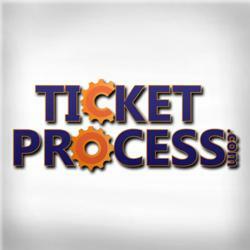 *TicketProcess is not associated with any of the teams, organizations, artists or venues listed. Names used in this release are for descriptive purposes only and do not imply endorsement or partnership.